We've bundled together some of our best selling, system neutral content just for you! Enhance your game, build your skills and bring it all to table! Arms and Armor, SC 58 pages: Hundreds of weapons, shields, types of armor and helms. Each with its own description and picture. Tables in the back give cost, AC bonus and damage. Engineering Dungeons, SC 28 pages: Learn all the ins and outs of dungeon design. with tables allow for random creation! 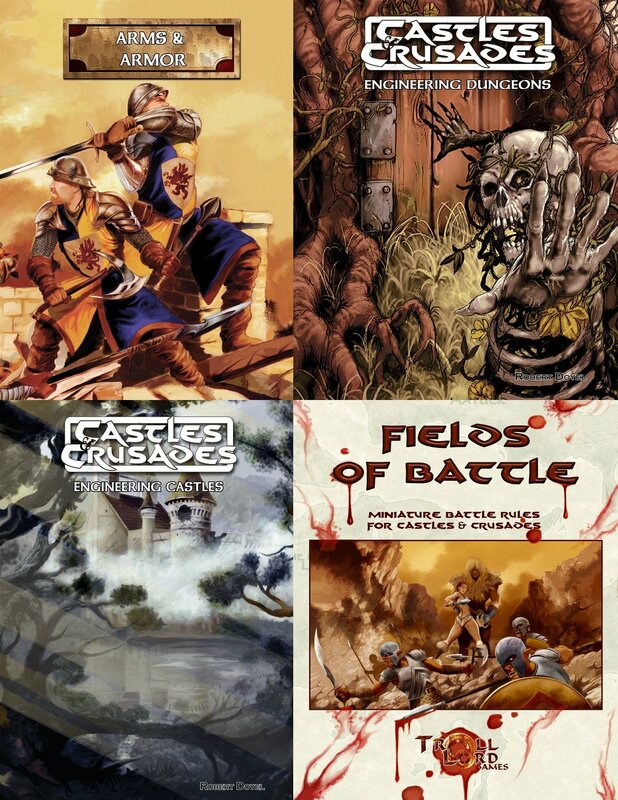 Fields of Battle, SC 48 pages: A wickedly easy miniature battle rules to allow you to play large and small scale miniature battles on the fly!